Stimulating creative communities of authors, artists, performers and other cultural makers in Europe. Gaining insight into the production, audiences and aims of cultural journals: Providing a more detailed understanding of the sector including aims, production practices, formats, target audiences and the challenges encountered in this field. We have developed a multi-methodological approach and built a framework that allowed us to do justice to the diversity of the journals, emphasising their cultural specificity and context-dependence. Cultural journals can be defined as self-reflective community media and as context-specific niche publications that complement other media. Our research identified three dimensions through which cultural journals can be distinguished from other media outlets: temporality; being experimental in style, often essayistic; depth of analysis. Here, we discuss our findings per dimension. Temporality: Cultural journals work predominantly at a meso-temporal level, i.e. they are not as topical as daily newspapers, but at the same time they still provide insight into the zeitgeist of a particular moment, and address issues relevant to society at the time of publishing. In our sample, most journals publish less frequently than newspapers. This is different for their online publications, which are more often on a daily basis. Similar to other periodicals such as newspapers, cultural journals have not found a common way to monetise their online content. It therefore remains a question as to whether updating their online editions more frequently than print changes the nature of the journals. Indeed, as cultural journals can be seen to operate in-between newspapers and academic publishing, similar trends can be found in the different fields: In the latter genres, there has also been an increase in publication frequency. Experimental in style, often essayistic: Being more distanced from economic incentives and often carried by relatively small editorial teams, cultural journals assume a specific position in the media landscape and provide space for experimenting, though foregrounding textual genres. In our sample, there was a distinct preference for text-based genres, but at the same time, other formats, including visuals, were highly present. 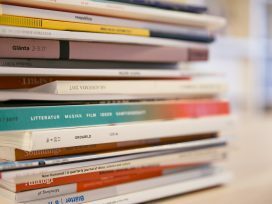 The most common styles adopted (essays, reviews and interviews) indicate how cultural journals have developed a particular niche in-between academic publishing and news media. Depth of analysis: The specific temporal focus and freedom in style of cultural journals allow them to cover issues more in-depth than other media. As a result, cultural journals often share an analytical intent and a level of reflection with academic work. Cultural journals form a particular niche in-between academic publishing and news media demonstrating their specific role in the media landscape and society at large as providing analysis that is not caught up in the immediacy of current events, but is quicker and often more accessible than academic publications. Their self-reflective nature becomes clear in the way that they provide in-depth, critical analysis and complementary perspectives on a regular basis. The diversity of cultural journals due to their context specificity also means that there is great variation in their distribution across Europe (See table 1 for an overview of the journals we found in our research). There are only few national studies and official statistics available about the number of cultural journals, so it is difficult to gauge the accuracy of our overview. Another reason for this is that, the European cultural journals sector is constantly changing, with journals appearing and disappearing in relatively short periods of time, making it difficult to capture it accurately. However, this first attempt of mapping cultural journals has identified almost 4,000 journals in Europe. 49% of the sample publish in both print and online, 42% do so in both print form only, and 9% are web-only publications. beyond still images, such as drawings, photos and illustrations, which are used by 95% of the survey participants, the use of non-textual materials is limited. 41% of the respondents indicated that financial stability has remained unchanged over the past five years, 40% indicate that this has decreased, and 14% perceived an increase. Facebook has become an important tool to communicate with readers among the respondents, while events organised by the journals, as well as promotion via bookstores, are also still highly important. Our research outlines the specific role of cultural journals in the media landscape and society at large as providing analysis that is not caught up in the immediacy of current events, but is quicker and more accessible than academic publications, stressing their self-reflective nature. They provide in-depth, critical analysis and complementary perspectives on a regular basis. The data confirms the societal relevance and the functions that cultural journals fulfil in our societies, as they cater to a specific type of audience, which includes those working in fields of cultural and political influence, whether it is academia, education or the arts. Our research identified a number of open questions and highlighted challenges that cultural journals are faced with. Further research would need to explore these areas with the aim to consider what are the main threats and opportunities for cultural journals to perform their vital societal role optimally. First, we have identified the importance of the context in which journals operate. Our data can be used in further analysis to make cross-national comparisons, identifying relevant geographic differences, most importantly to consider whether there are significant differences in the sustainability in certain areas. This may be particularly urgent in those places where cultural journals are compensating shortcomings and limitations of other media genres and where even more is at stake in terms of cultural issues in society. Further research could also consider the dynamic nature of cultural journals that was identified by our research: Though cultural journals have a long history there are also many journals in our sample that have been established in the last few years. Future studies could determine whether this is due to vibrancy or precariousness in the field. Here we have indicated the very specific nature of cultural journals as expanding the media landscape, addressing specific audiences, experimenting with format and introducing alternative perspectives. Cultural journals provide an important space for reflection and support a critical and self-reflective public. 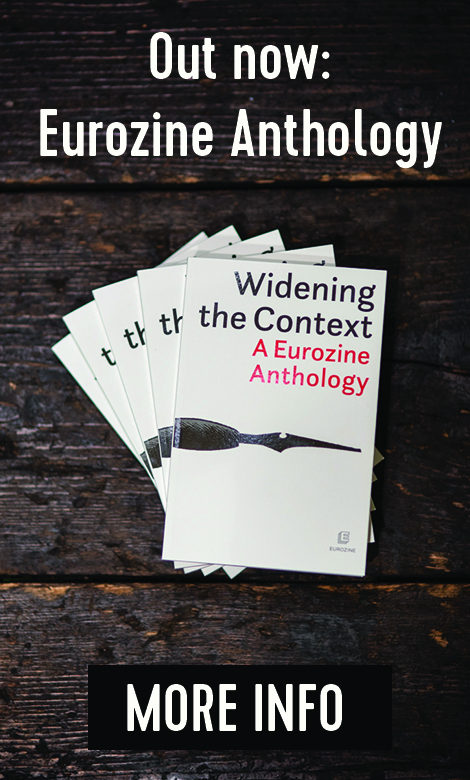 This study has been commissioned by Eurozine as part of the project “Eurozine – Network of cultural journals”, which is co-funded by the Creative Europe programme of the European Union.